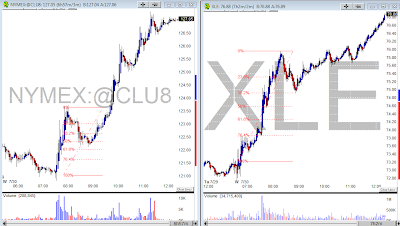 Crude Oil Rallied, there was a bigger than expected decrease in crude oil and gas inventories. Bond Futures Rallied, there is a clear inverse relationship between bonds and stocks still. I had a bad headache and left my desk at 8:30am. 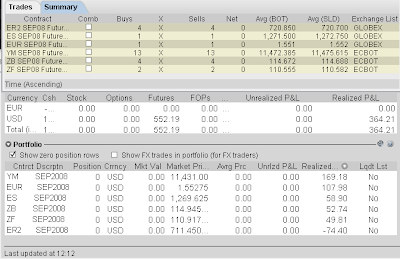 Soon after I left volatility came and I missed some great moves. It was probably for the better though. 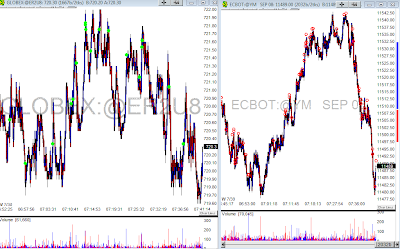 I got short ER2 when the Oil number was released only to see ER2 drop a couple ticks and then spike and stop me out, meanwhile, YM dropped 60 pts, I was very frustrated after seeing this move. 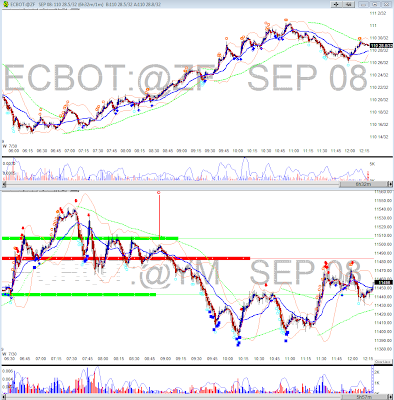 I should have known better that the divergence between the two was a setup for short on YM and not ER2. I was also long the Euro before the oil number and I made $100 on that trade.